The Kindle Fire is creating havoc these days in terms of popularity and the ultimate competition to the iPad. The pre-ordering numbers says it all. 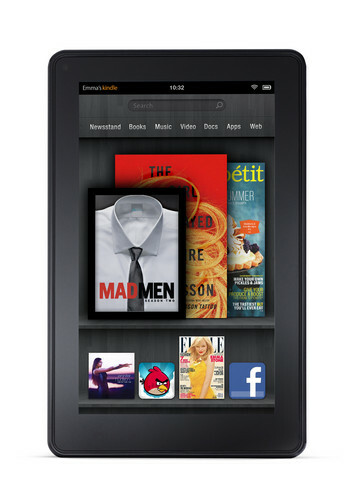 But is Amazon actually making any profit with the Kindle Fire? Sounds like the online retail giant could be making very few with the Kindle Fire, and may even go into loss without bundling it with subscriptions. Research firm UBM TechInsights estimates the cost to Amazon in buying the components from component manufacturer at $143. IHS ISuppli finds out that the cost of manufacturing services could have gone up to $203 for a single new device. So Amazon will primarily look to earn profit in the bundling services. You might know that the Fire comes with one month free Amazon Prime online multimedia subscription service that otherwise costs $75 a month. Now the company could be extracting some profit from you second month onwards. The Fire will also be an optimized device to shop online on amazon.com which retains their old customers as well as bring more and more new customers owing to the easiness with which one can shop online.